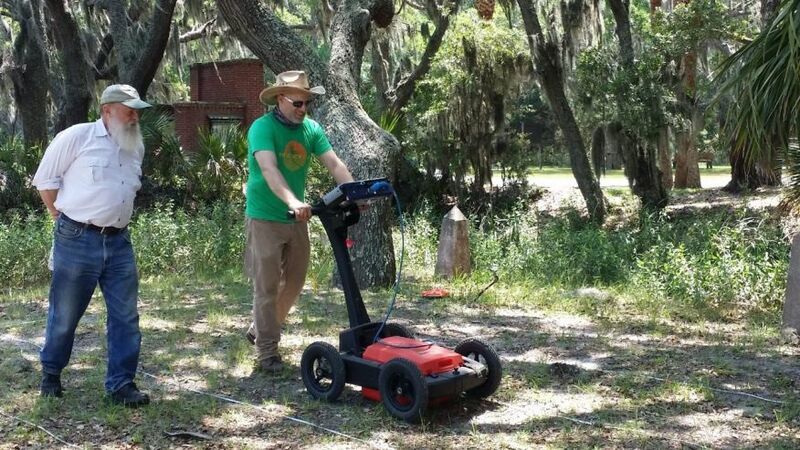 Nearly 40 years after finding the remains of the 16th-century town of Santa Elena on present-day Parris Island in Beaufort County, South Carolina, archaeologists have discovered San Marcos, one of five Spanish forts that operated during the town’s 21-year history. University of South Carolina archaeologist Chester DePratter and anthropologist Victor Thompson of the University of Georgia have conducted research at Santa Elena since 2014 to find the fort that was founded in 1577 by Pedro Menendez Marquez, the governor of Spanish La Florida. Their discovery, which will be published this week in the “Journal of Archaeological Science: Reports,” sheds new light on the oldest, most northern Spanish settlement in the Americas, built to thwart French exploration into the New World. Marquez arrived in October 1577 at the abandoned town of Santa Elena with two ships carrying pre-fabricated posts and heavy planking. He erected fort San Marcos in six days in defense against a Native American attack such as the one that forced the abandonment of the town a year earlier. 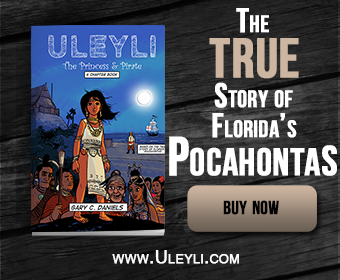 The town had flourished, nearing 400 residents, since its establishment more than a decade earlier in 1566 by Pedro Menendez de Aviles who had founded La Florida and St. Augustine the year before. In 1571, it became the capital of La Florida. DePratter says the general location of fort San Marcos has been known for decades from documentary sources, which included a written description and drawing of the fort that are part of the Archive of the Indies in Seville, Spain. Several early attempts to find the fort through excavation failed. In early June DePratter and Thompson returned to Santa Elena to employ a suite of new remote sensing technologies to look below the surface of the ground without actually digging. Using ground penetrating radar, soil resistivity and magnetometers, they sent pulses, electric currents and magnetic waves into the ground and measured differences in local magnetic fields in order to find the missing fort and map the lost 15-acre landscape of Santa Elena and the buildings — a church, courts, shops, taverns and farms — that brought life to the early settlement. “Santa Elena is providing once again an unprecedented view of the 16th-century landscape. This is one of the best sites for remote sensing that I’ve ever had the privilege to work on,” says Thompson, who directs UGA’s Center for Archaeological Sciences. DePratter says Santa Elena is the best preserved 16th-century town in the country, in part because of its location, which is underneath a former military golf course that has no standing structures on it. “The Santa Elena site is part of the Charlesfort/Santa Elena National Historic Landmark. Its remarkable state of preservation is a tribute to the stewardship of the U.S. Marine Corps who have owned Parris Island since 1915,” DePratter says. Among the vast array of possible wells, houses, posts and ditches in the images produced from the survey, DePratter and Thompson located the elusive Spanish fort. Fort San Marcos was a wooden fort with a central building containing storerooms and barracks with a large triangular gun platform on one end. It had 11 mounted cannons, the largest weighing more than 5,400 pounds. After five years, the wooden posts surrounding the fort rotted, and a new fort, also called San Marcos was built on the nearby shoreline and remained until its final abandonment in 1587 when the Spanish government decided to consolidate its resources in St. Augustine, Florida. South Carolina Institute for Archaeology and Anthropology archaeologist Stanley South, who died in March at age 88, found the remains of Santa Elena in 1979, with DePratter later joining the project in 1989. Archaeological excavations ended in 2008. The Charlestonfort/Santa Elena National Historic Landmark is located on the Marine Corps Recruit Depot Parris Island. The current remote sensing work is funded by the Santa Elena Foundation and South Carolina Institute for Archaeology and Anthropology’s Archaeological Research Trust and supported by the University of Georgia’s anthropology department. In April the Santa Elena Foundation and South Carolina Institute for Archaeology and Anthropology celebrated the 450th anniversary of Santa Elena’s founding with a symposium and an exhibition curated by DePratter. Thousands of artifacts have been unearthed from the site over the past four decades. Chester Depratter has worked for years to discover more information about the early Spanish settlement at Saint Elena.